We offer competitive rates for container haulage, sometimes referred to as FCL (full container load) haulage and also LCL (less than container load) haulage for both imports and exports at every UK port. By contracting us to complete your import customs clearance and delivery you can be sure that once your cargo arrives in the UK it's in safe hands. 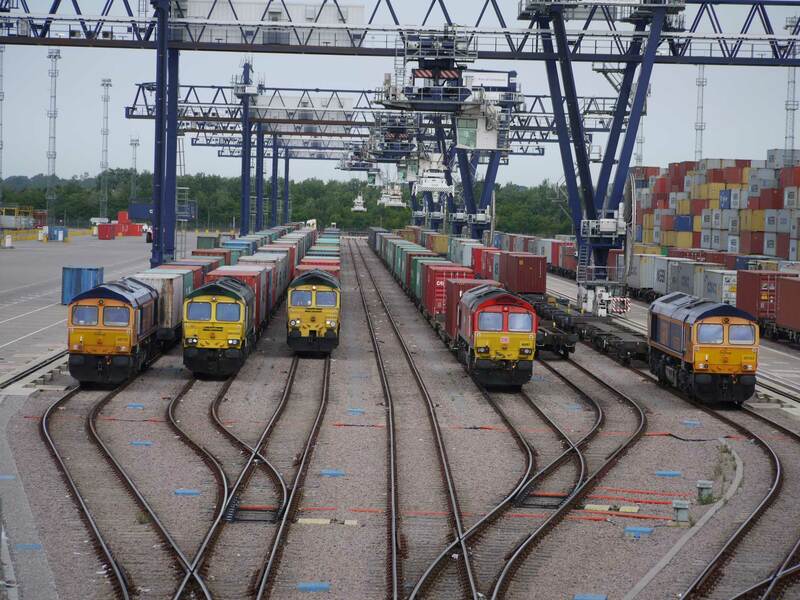 Image courtesy of DP World London Gateway. We continually monitor the status of your goods to ensure smooth clearance and delivery. Customs, Port Health, DEFRA, Trading Standards and the UK Boarder Force may all want to inspect your cargo on arrival in the UK. We liaise with these government departments / agencies / bodies on your behalf and keep you fully advised of any delay to your desired delivery date. We have longstanding relationships with all of our approved container haulage and rail haulage partners and believe we offer a more flexible, efficient and cost effective service than the shipping lines are able or prepared to offer. Image courtesy of the Port of Felixstowe. Many of our customers are striving to reduce their ‘Carbon Footprint’ and are monitoring the CO2 emissions in their supply chain. Utilising container haulage which combines rail and road elements in the UK is an important step towards achieving these reductions. Modern Locomotives are capable of hauling around 30 wagons which can be loaded with up to 90 TEUs, increasing rail network utilisation and reducing CO2 emissions and fuel consumption. We help you to achieve the best possible FCL routing, at a cost effective rate, using combinations of rail and road haulage where possible, to help reduce your CO2 impact on the environment. 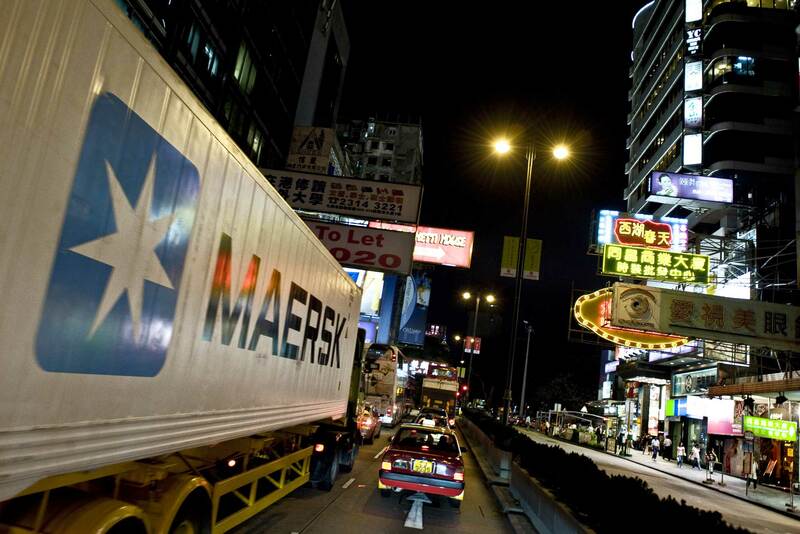 Image courtesy of Maersk Line. We have partnerships with a number of curtain sider, box trailer and van operators for smaller LCL shipments moving from ERTS and other warehouses across the country. We also operate a Road Freight service to and from the UK – please visit this page of our website for further details.